A.J. supporting the American Cancer Society at Bark for Life. A little over a year ago, Greg and I participated in Relay for Life, a fundraiser for the American Cancer Society. A.J. wasn’t able to join us for that event because no dogs were allowed. This weekend A.J. finally got his opportunity to help. 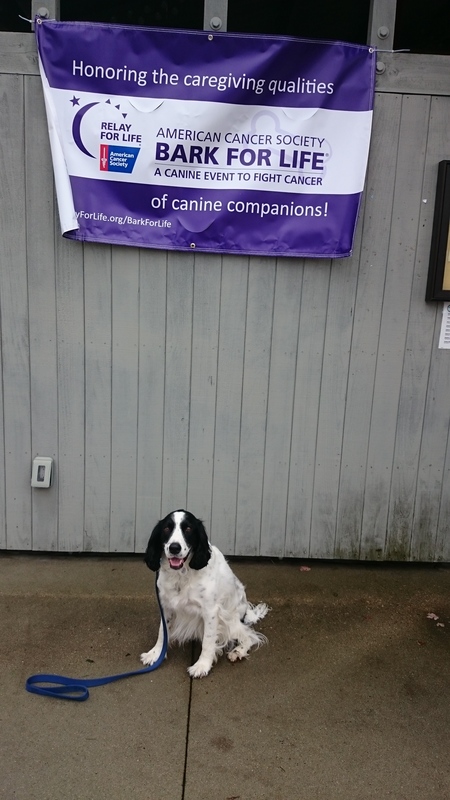 We all participated in Bark for Life, a dog walk for the American Cancer Society. A.J. did great around the other dogs, and topped the day off in true A.J. fashion by jumping into a mud puddle right before it was time to go home. But most important, he raised money for a cause very important to all of us.